Dust Devil: vertical vortex of wind, occurring on sunny days when warm air begins to rise. This picture would be nothing without the dust exposing the whirlwind. The wind would still be swirling only invisible to our sight. Yet when it takes up the dust we see amazing things. It is the same with the Holy Spirit we do not see anything of Spirit’s presence until it picks us up. It can be scary, and we may not understand where the Spirit is taking us, but when we finally see the whole picture we are in awe. 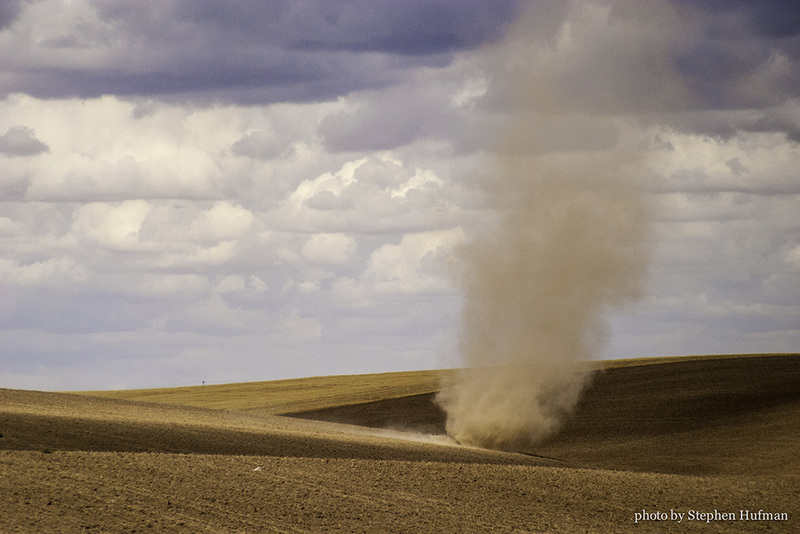 This entry was posted in Photography and tagged devotional, dust devil, John 3:8, Washington, wheat fields, wind by Stephen Hufman. Bookmark the permalink.